2. Add the cucumbers to the yogurt along with the rest of the ingredients. 3. Mix well and refrigerate 1-2 hours. 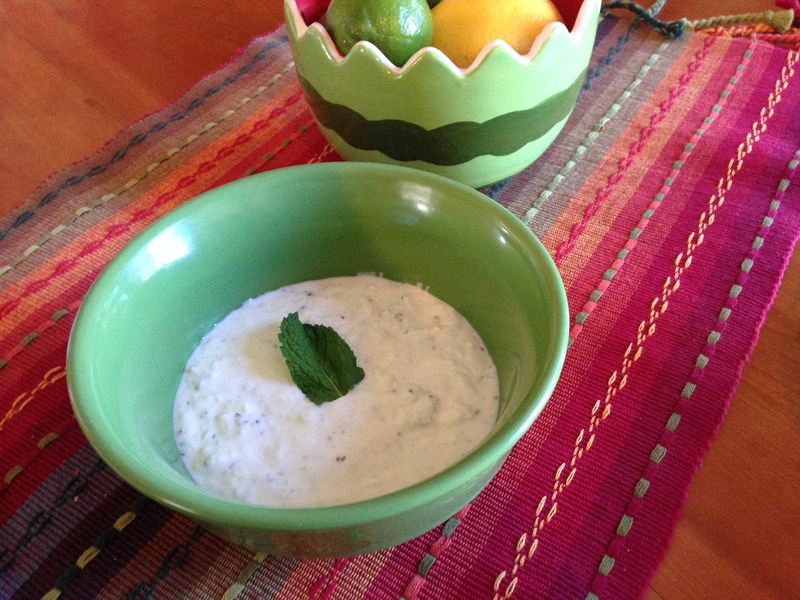 This is a flavorful condiment for your falafel, duner or any sandwich. You could use as a salad dressing. Paige and Lily went to Chicago over the summer and mentioned they went to an Ethiopian restaurant. They really enjoyed the flavors. I have been looking for a recipe since they put that in my mind. Doro Wat is a slow cooking chicken stew with the main spice being Berbere. I have the recipe for Berbere below or you can get it at Penzeys in Appleton. I follow Festival Foods and saw this recipe while scrolling through Twitter over the weekend. I enjoyed the flavors, Kent not so much. See what you think! This is a recipe that I got from Martin’s baba. (FYI: Baba – Bulgarian for Grandmother) She just throws ingredients together visually. I am more of a “how many cups” kind of girl. Over a 2016 phone call she told Martin the ingredients she used for her Christmas Eve Pitka. With those ingredients and a bit of luck I put a Pitka recipe together. A couple of years have flown by and this year I updated with a few “FauxChef” additions. For Christmas 2018 I added some sugar and buttermilk. I thought these were a nice addition. If you like, a Christmas Eve tradition is to put written charms and/or a coin in the bread. I wrap the coin in parchment paper or aluminum foil. With the charms I write a few positive expectations for the following year; good health, much happiness, that kind of stuff. I flip the bread over and make a slit with a knife and put the coin/charms in random spots. It is fun on Christmas Eve to see who gets the coin. Martin said this was the best Pitka yet. I have made many different “Pitka’s ” throughout the years. This one seems to be a winner!! Preheat oven to 375 degrees. Grease and flour baking pan. I used my cast iron skillet. (You don’t need to grease or flour if nicely seasoned.) You could also use a 9″ round cake pan. In a large bowl add dry ingredients. Whisk together and make a well by pushing the flour mixture to sides of bowl. After mixed together form a round, flat bread. (approx 9″ round, 2″height) Place in prepared baking pan. Brush top with egg whites. Bake for 45-60 minutes, or until golden brown on top. I check doneness by checking temperature. 190 degree internal temperature is what I use. Take out of oven. While warm, wrap in a towel. When cooled place in plastic bag to store. Martin has moved to NYC. Moving up some recipes I think he will enjoy cooking up in his own kitchen. Would much rather he be in this kitchen. Just saying’!! Mix above together and you have a delicious spread! It is better if you can refrigerate a couple of hours before use. 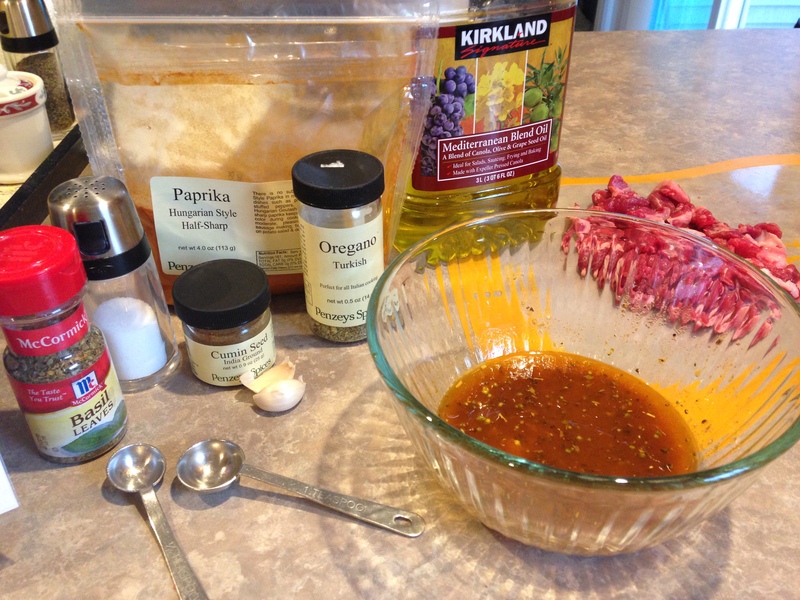 Use on Chicken Duner, as a spread for crepes, or a condiment for a sandwich. Quite simple and delicious. Kent enjoys Dim Sum. The last time I made this was 2013!! The reason is because it may be simple but it is time consuming. Sometimes I am lazy. I guess 5 years is being really lazy. This time I used all the filling which ended up being 48 wonton skins. It took 2 hours between filling and steaming. They were delicious. You could use duck sauce or sweet/hot chili sauce for dipping. 1. Place ground pork, green onions, shredded carrots, chopped cabbage, ginger soy sauce, sherry or rice vinegar, sesame oil, sugar, salt and beaten egg white in a large mixing bowl. Mix until all ingredients are combined. 2. Stir in cornstarch, mixing until completely incorporated with the other ingredients. 3. Spread out wonton skins on your counter. Place a heaping teaspoonful of pork mixture in center of each wonton skin. Lightly brush edges with water. Bring sides of skins together in the center of the filling. Pinching firmly together (it will look like a little purse). 4. I placed the dim sum on a parchment paper lined baking sheet and covered with a damp cloth while I continued to fill the skins. That way they won’t dry out. 5. Line a steamer with a clean, DAMP tea towel (or you can use lettuce or cabbage leaves) and arrange wontons inside. 6. Cover and steam for 5-7 minutes, until dim sum are cooked through. Serve immediately. You can always do a few at a time and then freeze the filling for later. You can also freeze the wonton skins. Martin is home for a visit. He moved to NYC and can have gyros everyday, all day long. 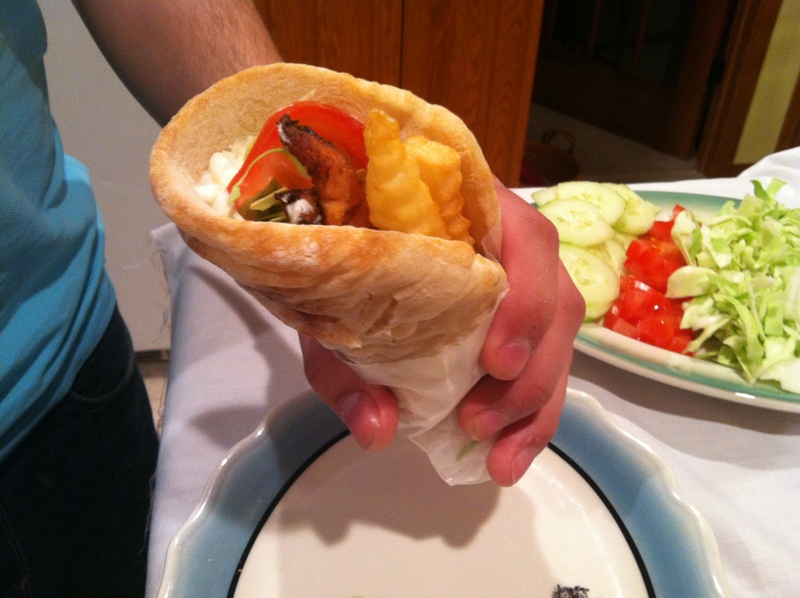 I thought I would make our family’s gyro recipe for Sunday dinner before he heads back. I always double this recipe and there are rarely leftovers. As always, a very simple and delicious meal. 3. Turn the chicken pieces and continue to fry for 4-5 minutes, until browned. (I have grilled the chicken on a skewer also.) The chicken tastes great grilled and fried. So pick your way and go from there! 4. Chicken is ready for the gyro! 5. 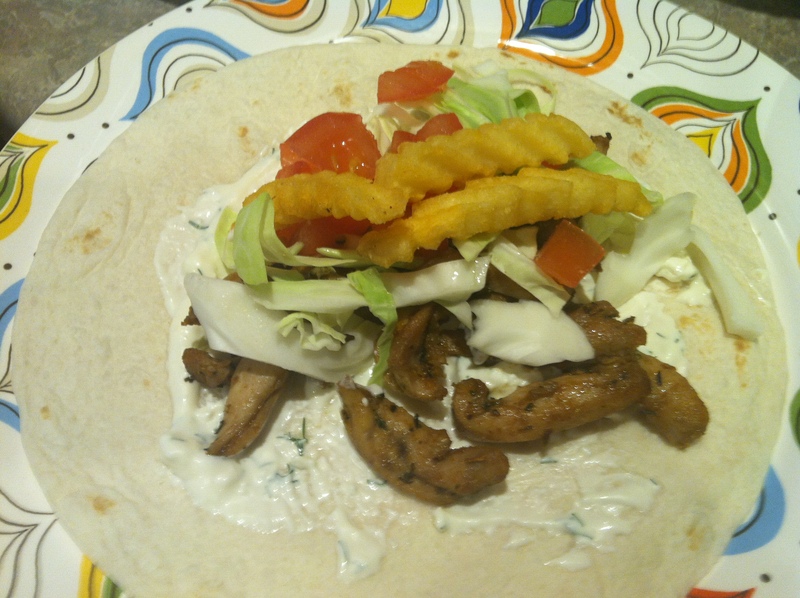 When you wrap your doner kebab you will use pita bread or flour tortilla, meat, tzatziki, diced tomato, shredded cabbage and a few french fries. (Believe it or not the french fries are a nice addition.) That will be your Bulgarian Doner Kebab. It is truly simple and delicious! Toss chicken with soy sauce in large bowl. Refrigerate 30 minutes to 1 hour. Place skillet over medium high heat and cook until chicken skin is browned, 7-10 minutes. (I know, I used skinless. That’s okay too) While chicken is browning, whisk coconut milk, vinegar, garlic, bay leaves and pepper into left over soy sauce. Transfer chicken to plate and discard fat in skillet. Return chicken to skillet, add coconut milk mixture and bring to boil. Reduce heat to medium low and simmer, uncovered for 20-30 minutes. Flip chicken and continue to cook, uncovered, until chicken registers 175 degrees, about 15 minutes. (If boneless, less time) Transfer chicken to platter. Add onions. Cook until sauce thickens. We served over rice. You can do whatever you want! Found this recipe by listening to my favorite podcast, The Splendid Table. This weeks episode was “Mexican Food in America”. I went on their website to see if there were any taco recipes from Wesley Avila. He was interviewed this week. He is well know in L.A. for his taco food truck called, Guerrilla Tacos. He also has a book out called “Guerrilla Tacos: Recipes from the Streets of L.A”. You should check out the menu on his website, it may give you some great “Taco Tuesday” ideas. I did not find one of his recipes but I did find this one which I thought would be quick and easy. I bought the roasted chicken at the grocery store this afternoon. It took under an hour to make dinner. Don’t you love it?! In a saute pan over medium heat, warm the oil and cook the onion, bell pepper, paprika, chili powder, oregano, cumin and salt until the veggies are soft, 7-10 minutes. Stir in tomato and chicken, and cook until filling is heated through, stirring frequently. About 5-7 minutes. Warm 6 – 6 inch flour tortillas. Microwave, oven or dry skillet. Whatever method works for you! While warming mix the sour cream and chopped chipotle peppers together. Pile the filling into the tortillas, topping with the chipotle sour cream, lettuce, scallions and choice of cheese. I kind of changed the recipe up a bit, didn’t I?! All I can say it we really enjoyed this recipe and will make again very soon. Looking forward to another new taco recipe next Tuesday! Also, if you don’t want to make your own tacos you should check out Vintage Cantina in Green Bay. They have some great taco choices too. Click on the link to check out their menu. Again, this can give you ideas for home or to go out to eat for a fun evening! I had some cabbage left over that I didn’t want to throw away. Checked Google and put these ingredients in the search bar; cabbage, onions and carrots. The first recipe that came up was this Ethiopian Cabbage Dish. I always enjoy making recipes from different parts of the world. Ethiopia works for me. I served with fried bone-in pork chop seasoned with salt and pepper. This meal took under an hour from prep to serving. Simple and Delicious!! Heat the olive oil in a skillet over medium heat. Cook the carrots and onion 5-7 minutes. Stir in salt, pepper, cumin, turmeric and cabbage. Cook 10 to 15 minutes. Mix in the potatoes and cover. Reduce the heat to medium-low and cook until the potatoes are done. This will take 15-20 minutes. Check halfway through cooking time to stir from the bottom of the skillet. It may stick, so you should check it. I started the pork chops when I added to potatoes to the skillet. This was a simple and tasty meal. Hope you try it and ENJOY!